Yesterday, Solange Knowles released a new video for her song called "Don't Touch My Hair" featuring Sampha. Two weeks ago, the singer posted a photo of herself rocking a beaded hairstyle, and it turns out it was for the video. Solange can be seen swinging her beads at the beginning. The visuals for "Don't Touch My Hair" are incredible, and I have to say that I'm not surprised. She is quite the artist and always stands out. 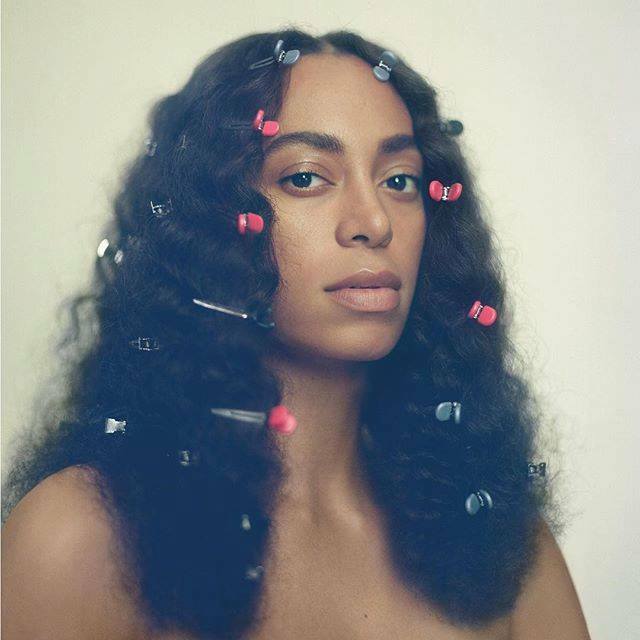 The song "Don't Touch My Hair" is a single from Solange Knowles' new album "A Seat at the Table" released this past Friday. The album features 21 tracks. In "Don't Touch My Hair," Knowles breaks down what our hair (as Black people) means to us. She says, "Don't touch my pride/ They say the glory's all mine." The issue of someone asking to touch your hair is much deeper. It's attached to our feelings and experiences, and the 30-year-old points that out when she says, "Don't touch my hair/ When it's the feelings I wear." The video was directed by Solange Knowles and her husband, Alan Ferguson. There are a variety of Black and natural hairstyles in the "Don't Touch My Hair" video including cornrows, twists, finger waves, Afros, locs, and short cuts. The song and video are classics, and I can't wait to listen to the rest of the album! What do you think of Solange's "Don't Touch My Hair" video?